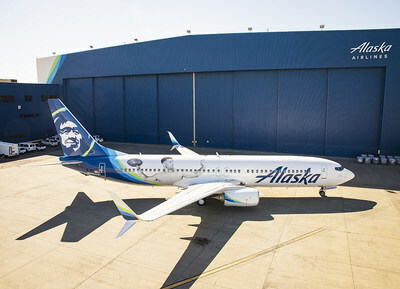 SEATTLE, Sept. 5, 2018 /PRNewswire/ -- In celebration of the regular season opener and Seattle's quarterback, Alaska Airlines is unveiling a new Russell Wilson plane. Guests flying to Denver this Friday, Sept. 7, are invited to sport their blue at a tailgate-inspired celebration at Sea-Tac's C gates. Throughout football season, Alaska Airlines guests wearing a Wilson jersey will be granted early boarding on all Seattle-departing flights. The airline's annual There's No Time to Sleep event in South Seattle'sHighline Public Schools district encouraging graduates to define their goals and pursue their dreams.